Several federal agencies teamed up like your favorite buddy-cop movie to bring down the bad guy today. In this particular case the bad guy was Citizens Bank, which must now pay a total of $20.5 million in penalties and $11 million in refunds to the owners of accounts it allegedly failed to credit for full amounts of deposited funds. The Consumer Financial Protection Bureau, along with the Federal Deposit Insurance Corporation (FDIC) and the Office of the Comptroller of the Currency (OCC) announced today that they have taken action against Citizens Bank for violating federal laws related to properly servicing customer accounts. According to the regulators’ consent order [PDF], from January 2008 to November 30, 2013, Citizens Bank shorted consumers millions of dollars by failing to address mistakes in which the bank’s scanner misread either the deposit slip or the checks provided by consumers. Like many banks, Citizens required consumers making deposits to fill out a slip listing the checks or cash being deposited, and their total. Customers then turned that slip over to the bank and received a receipt reflecting the amount of the deposit transaction. 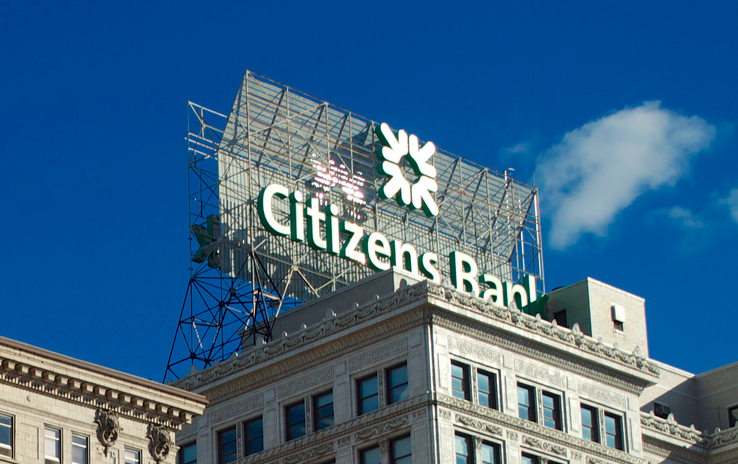 However, an investigation found that Citizens Bank frequently did not give consumers full credit for their deposits when the amount scanned on the deposit slip was less than the amount of the checks and cash deposited. From January 2008 to September 2012, the bank only looked into discrepancies greater than $50. From September 2012 to November 2013, the bank only looked into discrepancies greater than $25, according to the complaint. Regulators allege that in addition to failing to investigate discrepancies, Citizens falsely told consumers that deposits were subject to verification. The promise of verification implied that the bank would take steps to ensure consumers were credited with the correct deposit amount, but investigators say that simply wasn’t the case. Instead, the bank’s practice was not to verify and correct deposit inaccuracies unless they were above the $25 or $50 threshold. Although some consumers benefited from this policy, others lost money that rightfully belonged to them, investigators say. As a result of its allegedly unfair deposit practices, the CFPB ordered Citizens Bank to pay approximately $11 million in refunds to victims who did not receive all the money that should have been deposited into their accounts. The refunds must include any fees the consumer incurred related to the under-crediting, including but not limited to any overdraft fees, insufficient funds fees, and monthly maintenance fees, as well as a reasonable estimate of interest on those amounts. If the consumers have an open account with the bank, they will receive a credit to their account. For closed accounts, Citizens Bank will send a check to the affected consumers. Additionally, the bank must pay a $7.5 million civil penalty to the CFPB’s Civil Penalty Fund and end all practices that are in violation of federal financial laws. “Among other things, this means the bank must properly review its compliance management system to ensure no further violations relating to its processing of deposits, it must not misrepresent its processing practices, and it must incorporate corrective actions if the bank fails to process deposits consistent with federal consumer financial law,” the consent order states. The FDIC separately ordered Citizens Bank of Pennsylvania to pay restitution and a $3 million civil penalty. The OCC separately ordered Citizens Bank, N.A., to pay restitution and a $10 million civil penalty. In all, Citizens Bank must pay about $11 million in consumer refunds and $20.5 million in federal penalties for these coordinated actions.